You will find yourself asking "who am I?" frequently. In every major stage of your child's life you will reflect and ask who you are. And there will be a point where you will say to yourself "all I want to be is a mom." We can all agree there is no hand book to being a mom and there is also no handbook to being a woman with children. So how do we stay authentic to who we are? 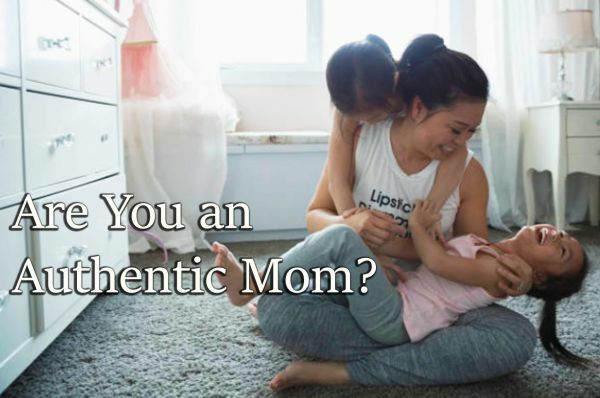 How do we be an authentic mom? 1. Write it down. Put it on paper by creating two columns. One column is "Who I was before my children" and the second column is "What type of mom do I want to be." Write down as many answers as you want. There is no right or wrong to laying out your authenticity. 2. None of what you have written is permanent. In your lifetime you will grow and change as a person and as a mom. Change is permanent. At the bottom of your columns create a space and write: "I am authentically changing. I am authentically myself. I am a mom and I am ME!" 3. Don't be hard on yourself and be willing to fail as a mom. Moms are human. We fail or feel like we fail all the time. The most authentic thing you can do is be willing to admit what you did wrong and commit to trying to change it next time there is an opportunity. 4. Stop judging. A big problem in the mom world, especially on the web and social media, is some moms can be really judgey. It's like the mean girls club all over, but now over raising our children. The best was to stay authentic is to check yourself if you find yourself judging other moms and by not participating in conversation that hurt other women. 5. Be yourself. There is nothing more authentic than being yourself. All of the time.